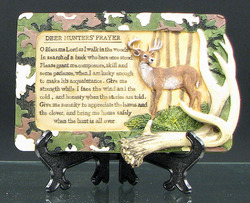 Resin Plaque has hanger on back for hanging on a wall or a stand included to sit it on a desk top or shelf. 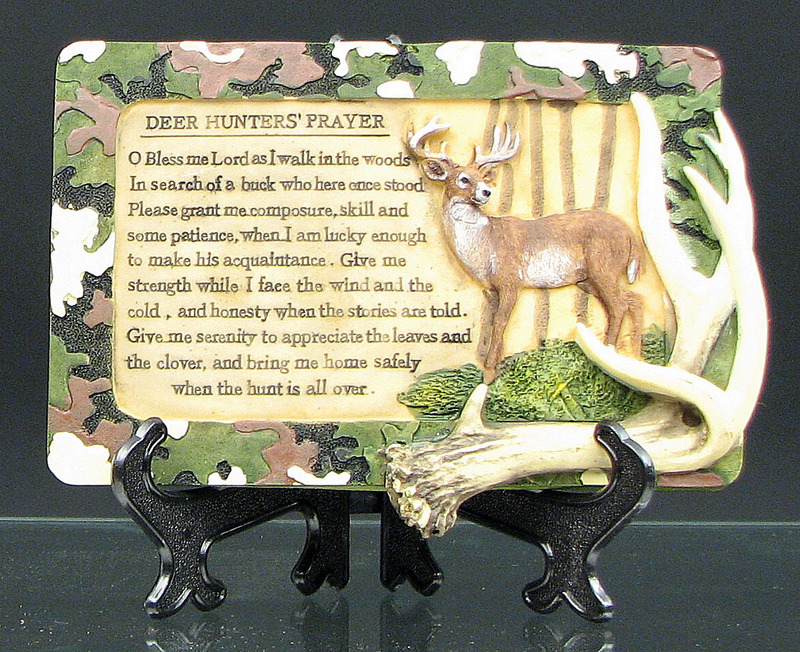 Great prayer for every deer hunter you know. Measures 7.25"W x 5"H x .75"D.